LAGUNA 88 CONDO is located at 44, 46 EASTWOOD ROAD in district 16 (Bayshore, Bedok, Chai Chee) of Singapore. LAGUNA 88 CONDO is a 99-year Leasehold Condo development consisting of 88 units. LAGUNA 88 CONDO is completed / TOP in 2000 (estimated), developed by MAGNIFICENT DEVELOPMENTS PTE LTD (BONVEST GROUP). Educational institutions like ONE WORLD INTERNATIONAL SCHOOL, SEKOLAH INDONESIA, ROSEMOUNT INTERNATIONAL SCHOOL, TEMASEK PRIMARY SCHOOL, CHANGKAT PRIMARY SCHOOL and BEDOK GREEN PRIMARY SCHOOL are near to LAGUNA 88 CONDO. 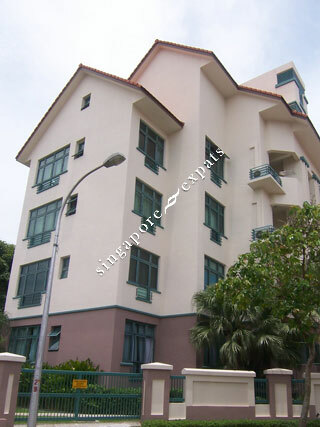 LAGUNA 88 CONDO is accessible via nearby SUNGEI BEDOK, XILIN and TANAH MERAH MRT Stations.